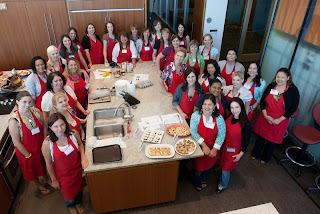 A total of 30 bloggers from all over the country got an all expense paid trip to the Betty Crocker Kitchens for a public relations event for the baking division. Soooo much happened… we made tons of great recipes, the General Mills building is amazing, I took tons of pictures, and I met some awesome bloggers! There is so much to talk about that I will have to post a little at a time. I will try to separate everything into sections and I will also post my favorite recipes because there were some great ones! I think I could probably blog about it for ages! I want to first talk about the wonderful women of Baking With Betty. I really enjoyed having the opportunity to talk with women that do what I do. That does not happen very often! There was a lot of… So what do you write about? What companies do you work with? Have you worked with this company? What networking sites do you use? The dinner cruise gave us the opportunity to get to know each other before all of the baking began. Since in the end we were all women the conversations also had the normal questions about kids, home, school, books, and recipes. They were very smart to give us the first day to get some talking out of the way. We would have talked forever and never got to the baking! The trip seemed to fly by too fast. I really wish that I had more time to get to know everyone more. 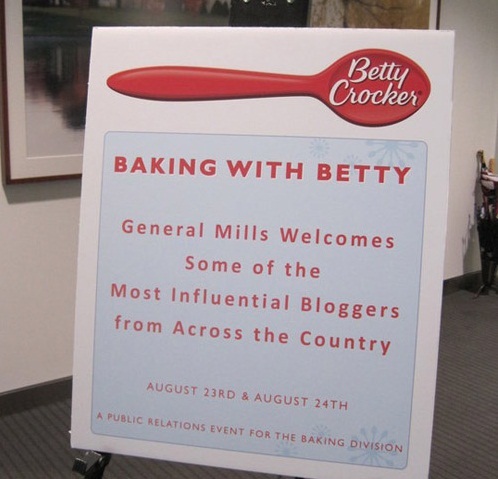 This is the second year that General Mills has opened their doors to bloggers so hopefully they will do this again next year and I will again be invited. Some of the photos of this trip were professionally taken for us by Matt Holland. Thanks Matt! General Mills paid for my trip, they did not ask me to blog about my trip or give any recipes. It was my choice to do so, simply because I love Betty Crocker and the recipes. wow congrats lucky one. u sure did enjoy the trip. Oh! The Party Bus! That's a great shot! We had such a great time! Thanks for sharing! I wish I could have met you in person at Baking with Betty! My sister said she had a great time and she's going a great job with her blog posts for GourmetMom. I just finished editing my sister's first post about the event, added a link to your site, and also put a Mr. Linky at the bottom so if you'd like to link up any of your Baking With Betty posts, please do so! I'd love for my readers to see them! How Lucky! I love Betty Crocker too, looks like you had a fantastic time and that they treated you well! It really was a dream come true! Loved every minute!